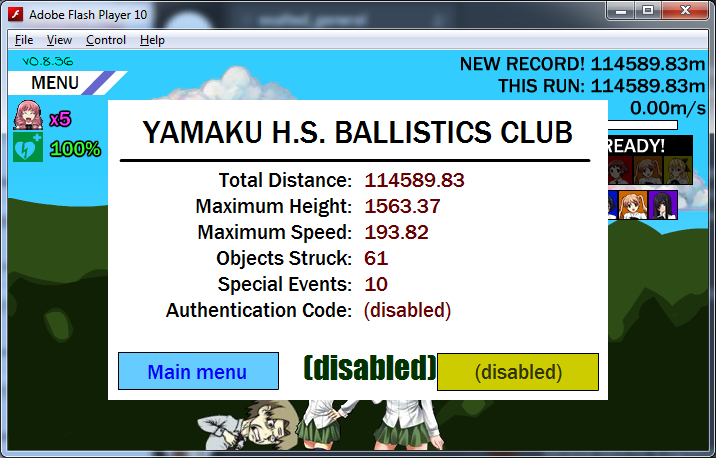 My best is like 113340.53 m without using Cheat Engine for infinite pigs and Mishas, for anything. Yes, it's possible, simply attach CE to the process running the game. Enter your initial number of them in the "Value" section, then click on the First scan, now go back to the game, use one Misha and go back, enter 2 and click on the "Next scan" button. Now, use one Wahaha more, pause and go back, change the value tab to 1 and nextscan it. You should get in the addresses one or two ones, click them down, change their values as you wish, or/and apply them. There you have it - infinite Mishas. This one is tricky to do, because it's only 2 pigs, after you banged Yuuko *NO PUN INTENDED*. 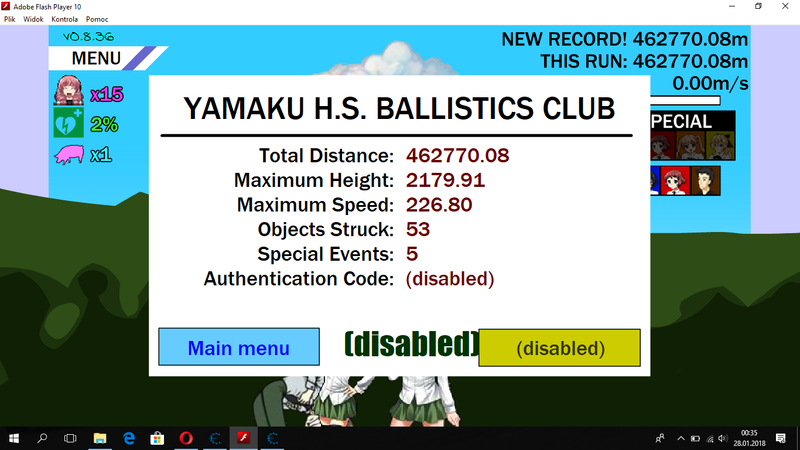 But the routine stays the same, just do this after Hisao hits the ground, when you will get just one pig, search the changed to 1 value, click it down, change the record to anything better than 0 or 1 and apply it. Now, you can bounce infinitely on the ground without losing any speed. 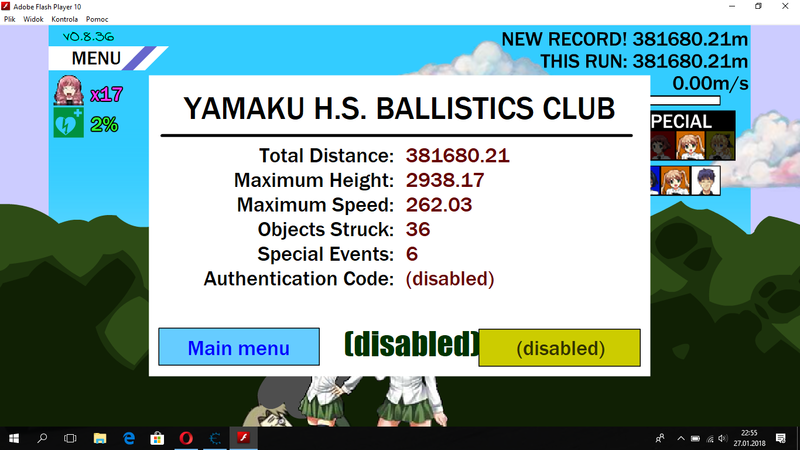 And this is, how you achieve with infinite pigs 2,6k attitude above the ground and 262 meters per second speed. Then it turned into a Bouncy Hisao Watch Show. However, then I've got into Shizune. By the way, the infinite pig hack helps quite a lot when you're in Multiball mode - 3 Hisaos bouncing off the ground can achieve a good speed with the ladies in no time. Ran 200k meters with Multiball with these "features". Sorry, if it's cheating, but yesterday made me a bit frustrated with the game. I couldn't make it even to 5k. I feel safe in saying that it's long dead.